Don’t want to order the ginger ale? 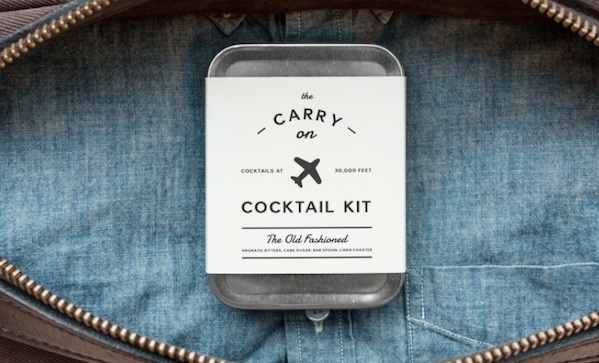 Have an old fashioned, using this carry on cocktail kit ($24). It’s security-friendly, and contains: a tin, a recipe card, a spoon/muddler, aromatic bitters, cane sugar, and a linen coaster. You just need a small bottle of bourbon, and you’re set to take to the skies, Mad Men-style.